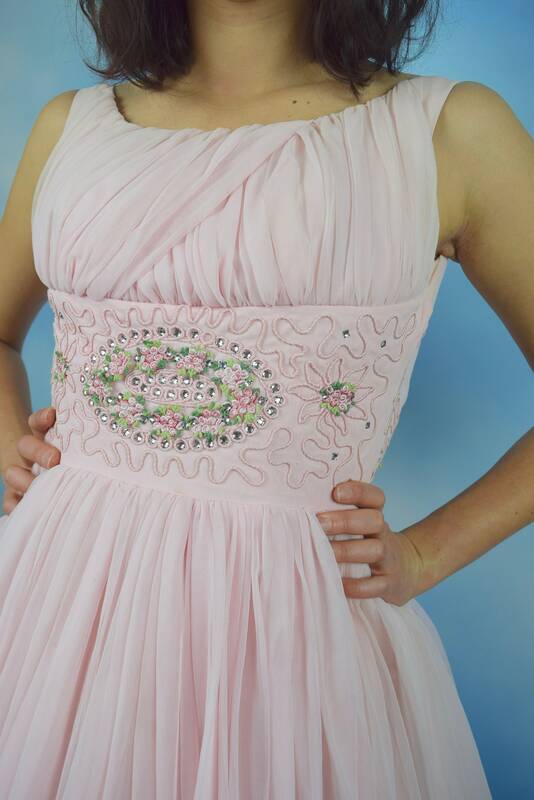 GORGEOUS powder pink party dress with a waistband encrusted in rhinestones and lovely floral embroidery. 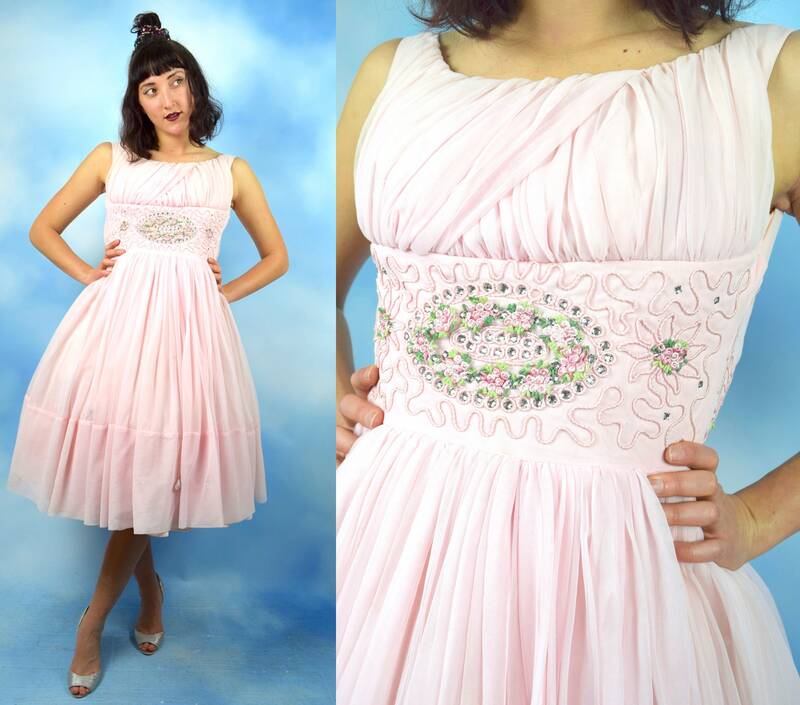 Lined in coordinating pink satin. 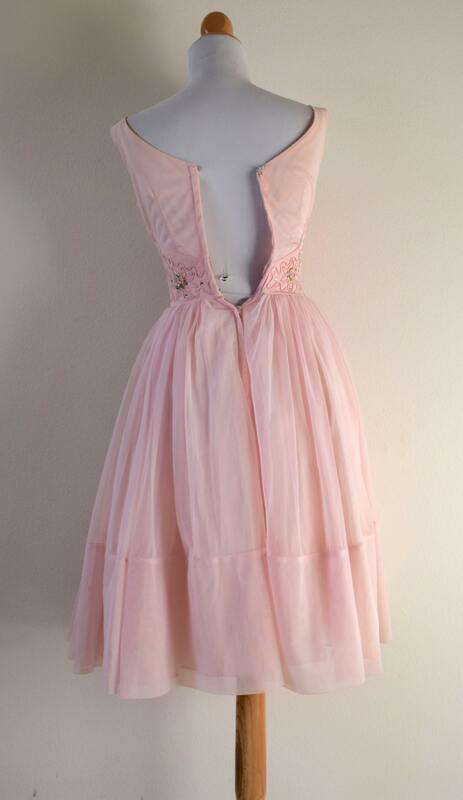 Built-in tulle. Metal zipper up the back. 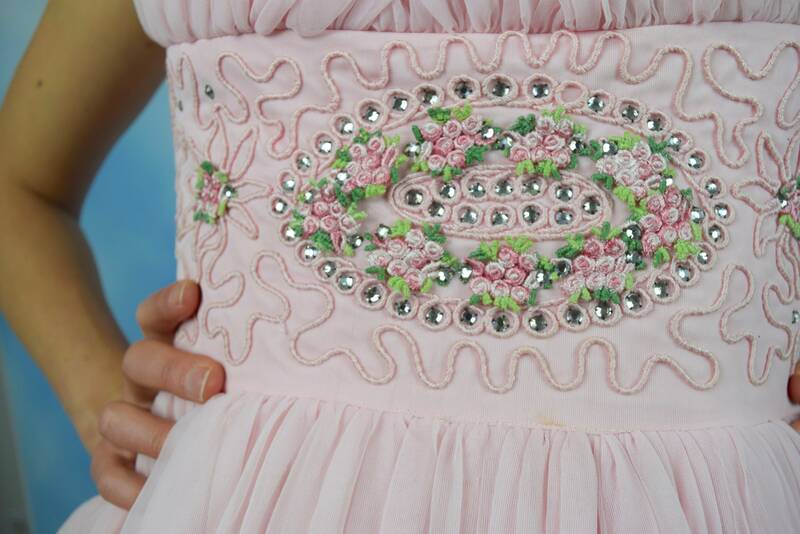 Condition: Missing one rhinestone on the waistband – a quick fix if you’re handy with a bedazzler though! There is a small hole in the nylon on the bust measuring ¼” wide and 3/8” long. There is a smaller hole near the wearer’s right underarm measuring less than 1/8” in diameter. 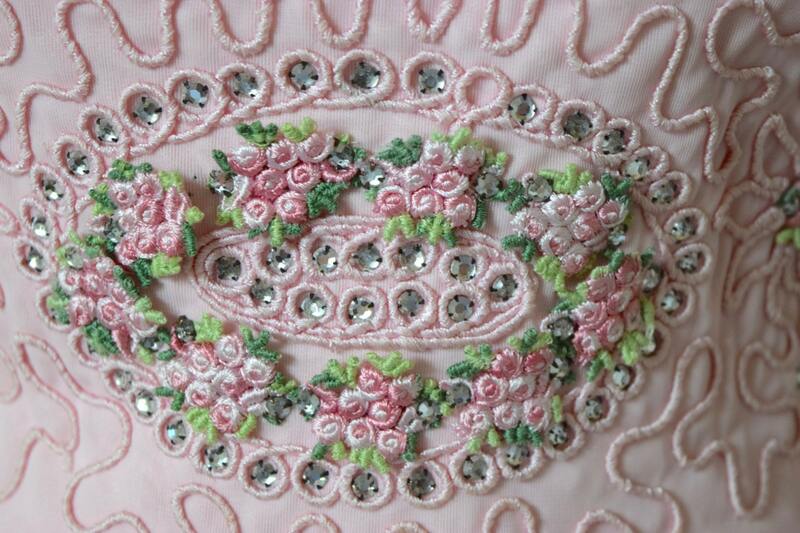 These are not apparently noticeable because of the gathering of the fabric. Some very minor underarm discoloration – would most likely come out in a dry cleaning. Otherwise in excellent condition for its age!